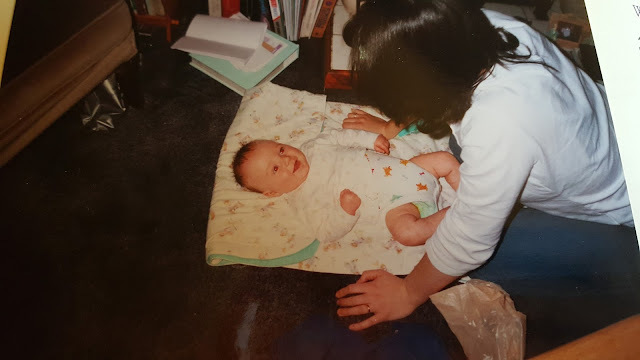 16 years ago today our oldest boy was born. He kept us waiting for 10 days after his official due date, the second latest any of the boys were in arriving - beaten only by Alasdair who was 11 days late. James was named after my dad, and my grandfather- and quite a few generations of James' before them too. My father in law's middle name is also James so the name comes from both sides of the family. 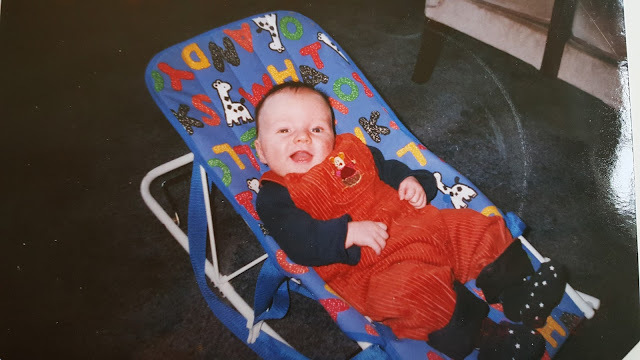 Right from the earliest days he was a happy, smiley little man. I remember when that photo above was taken. He was only 10 weeks old but to me that was already so old and it was impossible to remember life before him! 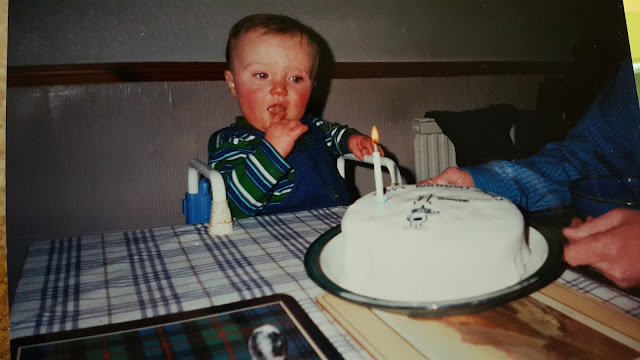 I've had fun going through old photo albums and thought it would be fun to mark his 16th birthday by looking at all of his birthdays through the years. Starting with his first birthday. 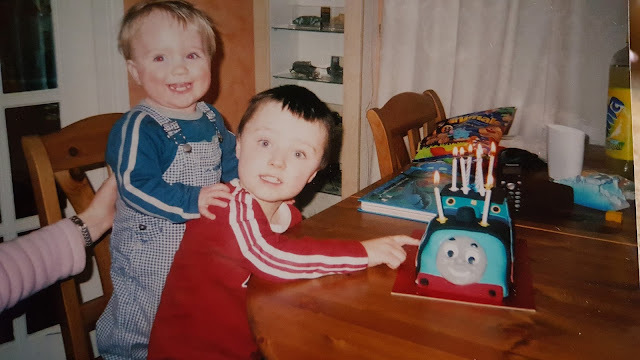 His first birthday cake was a simple one with a picture of La-La from the Teletubbies drawn on it. 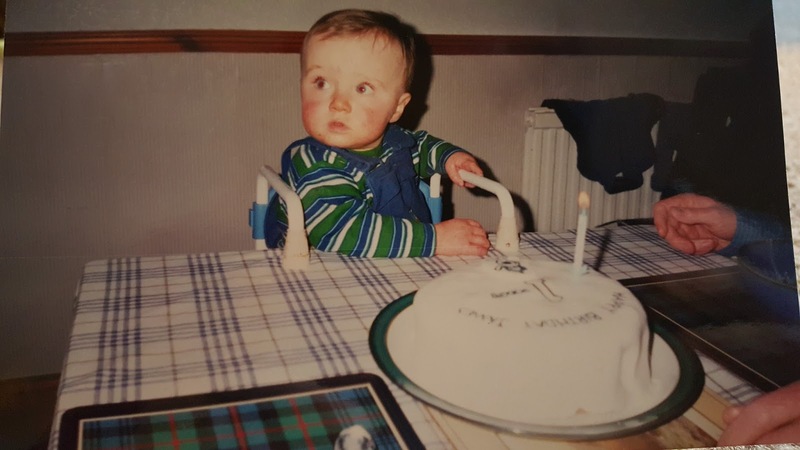 The album with his 2nd birthday photos in it must be in the loft as I can't find it anywhere else! On his third birthday he had a little football cake. 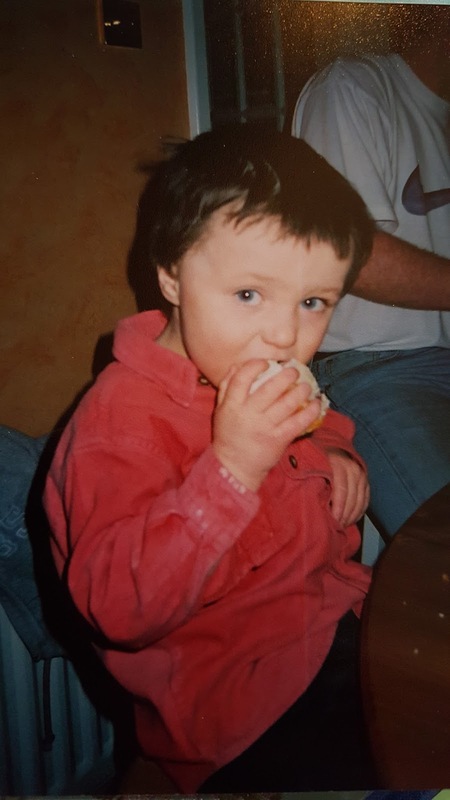 This was around the time that Calum, then 3 months old, was really struggling with severe eczema. James' was moderately bad at the time too, in fact I would have thought it worse if Calum's hadn't been so severe. So life was pretty tough for a while with two little boys with such intense skin care regimes. Plus very little sleep. But by the time of his fourth birthday we had the skin care regimes down to a fine art. Their eczema was still there but I guess we had just become experts at managing it. I think they could almost pass as Alasdair and Fraser in this photo! Aged 5 and James was into his space phase. 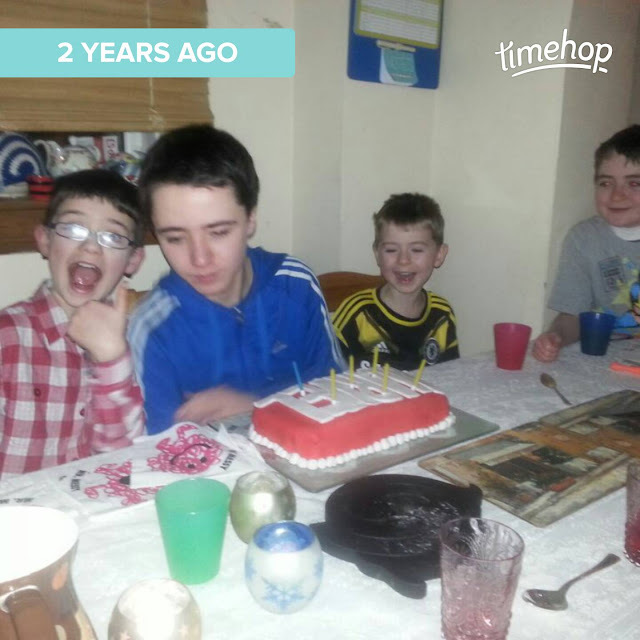 It was also the first year he had a party for his birthday with other friends around and not just his cousins. 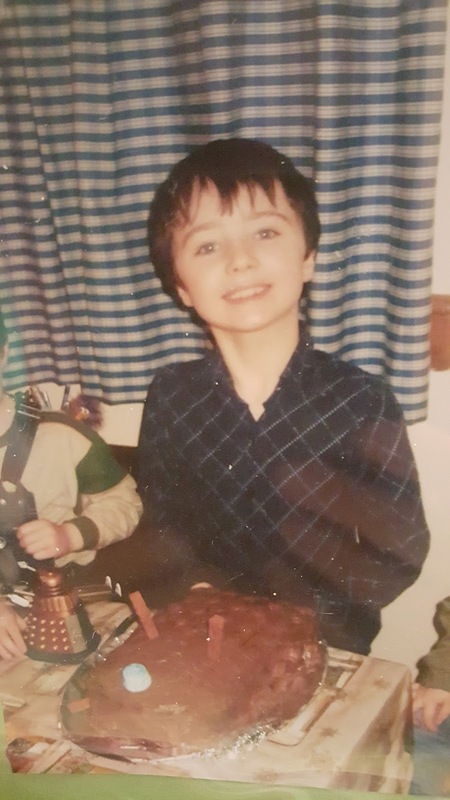 The 6th birthday photos must be in the same place as the 2nd birthday ones as I can't find them either, so let's move on to his 7th birthday, which was around the time he started on his superhero phase. 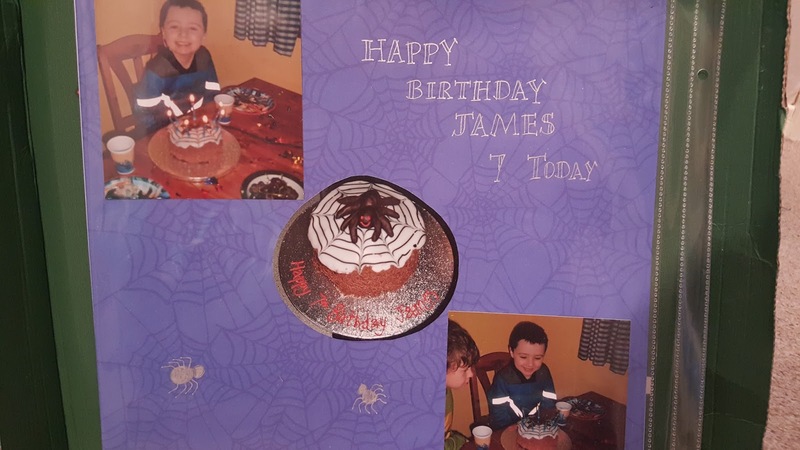 When James was turning 8 he had a huge fascination with the Ancient Egyptians. It also happened that at that time there was a big exhibition of Egyptian treasures in the O2 in London. There was also a really great offer on train tickets to London at the time - I'm pretty sure that we got returns from Edinburgh to London for £5 each! So for James' 8th birthday we all took a trip to London for a couple of nights to go and see the Egyptian treasures. When we were back home again he got his cake, which was shaped like a Dalek from Dr Who. My brother thought it was some sort of bug but James knew what it was meant to be! 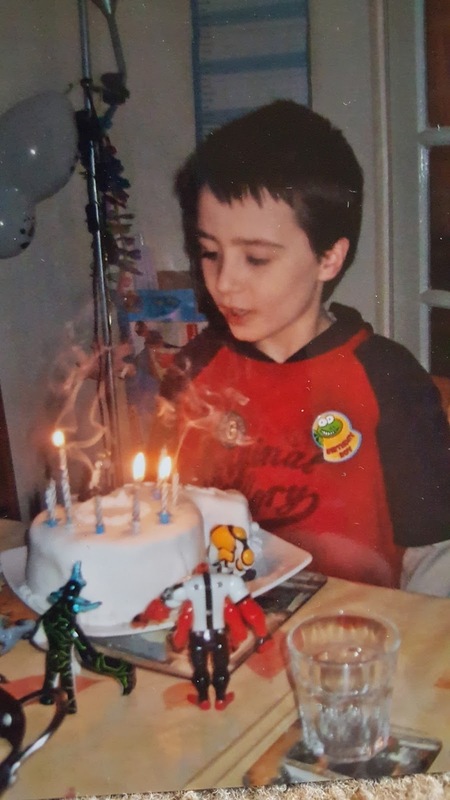 By his 9th birthday he had brief obession with Ben 10, but still loved all things Egyptian and received quite a few Egyptian themed presents. 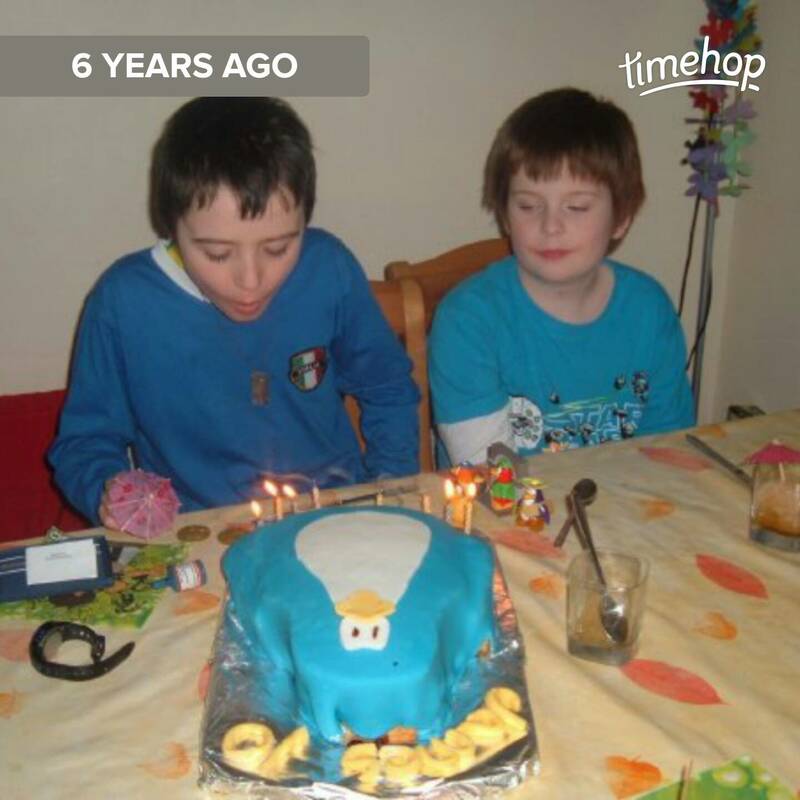 Aged 10 he had discovered Club Penguin and asked for a Club Penguin cake. 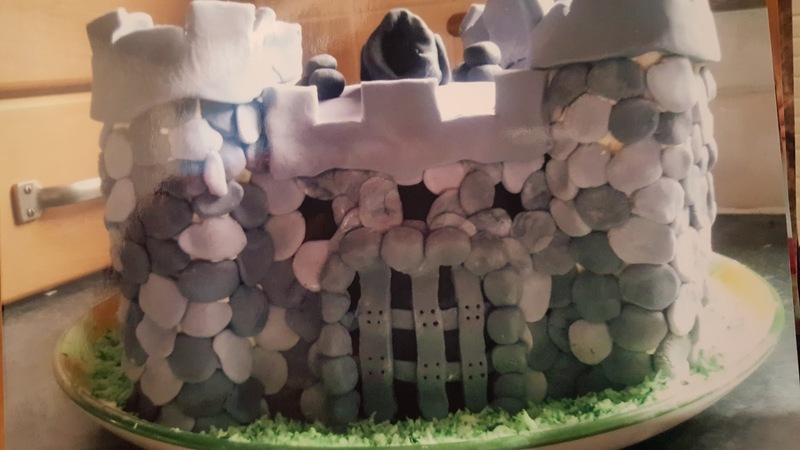 When he turned 11 he was still very interested in all sorts of history. 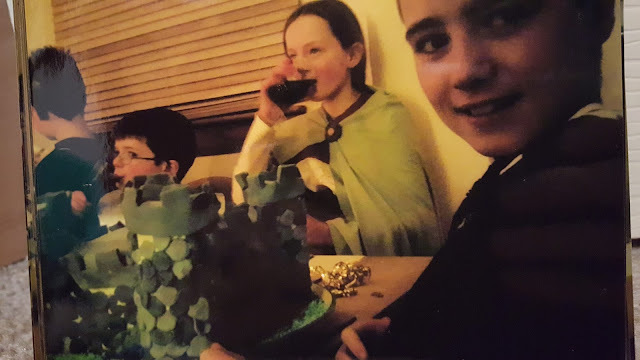 His birthday party was a Medieval Banquet. 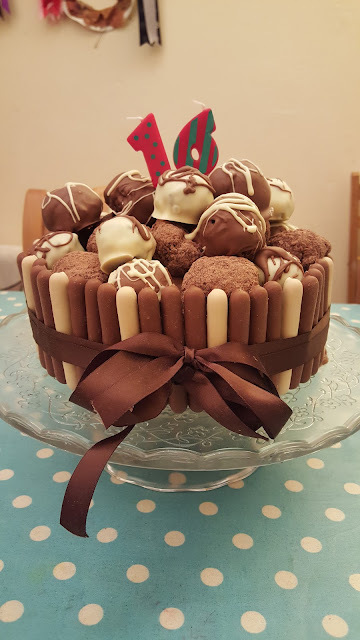 His cake that year was quite a work of art and is worthy of it's own photo! I took his continued love of Captain America and Marvel as inspiration for his 12th birthday cake, this red, white and blue concoction. 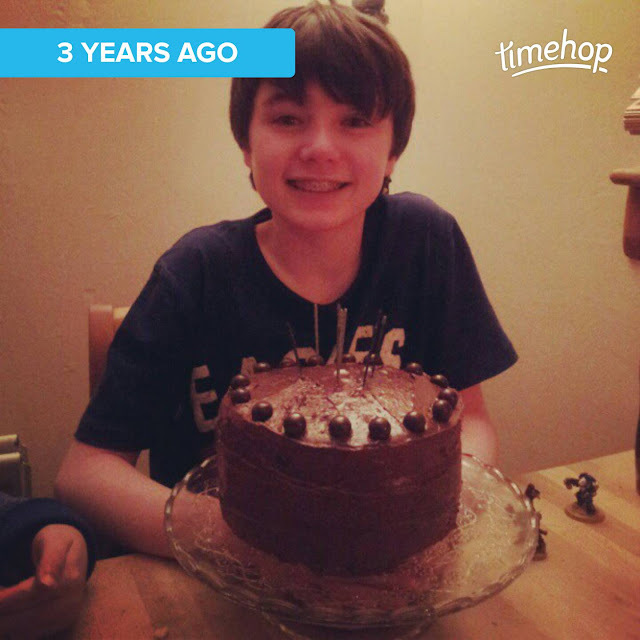 When he became a teenager he asked for a chocolate cake. Simple. 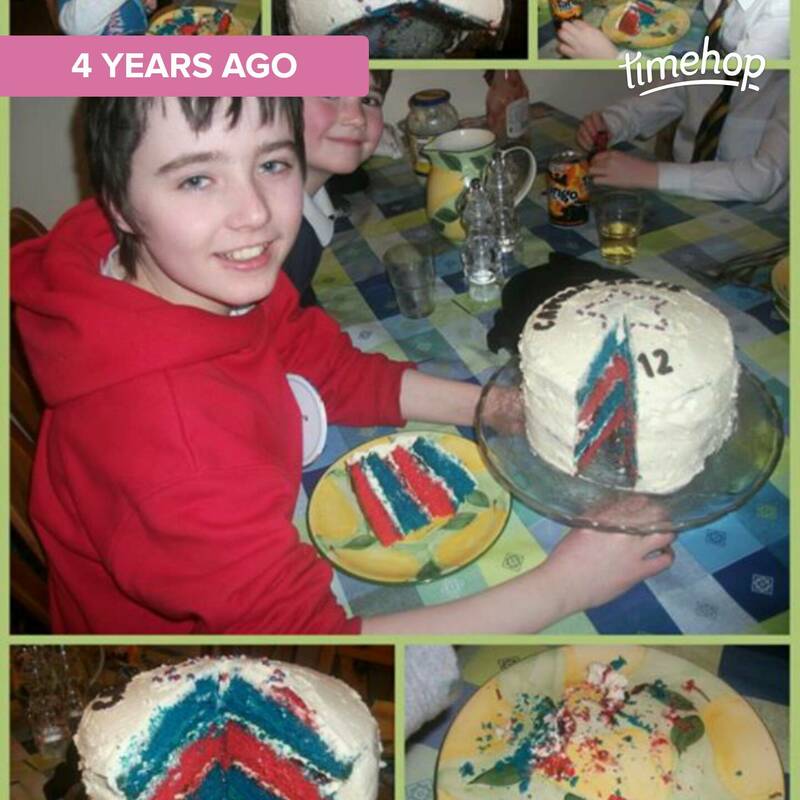 You may remember me sharing some of these cakes in previous years, like the one he had for his 14th birthday which was meant to look like the Marvel badge. 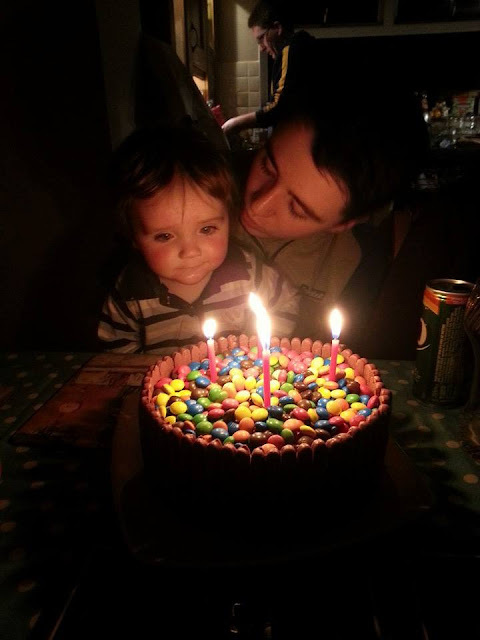 I love this photo of him and his cousin Finlay - a fellow Marvel fan! 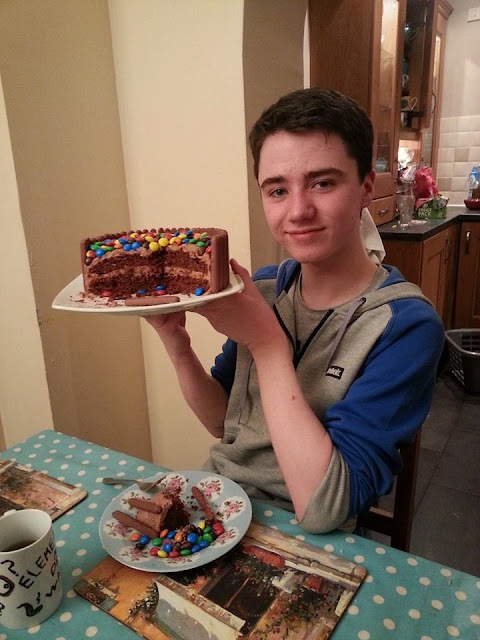 Almost up to date now, and onto last year's cake which was this chocolate M&Ms cake. 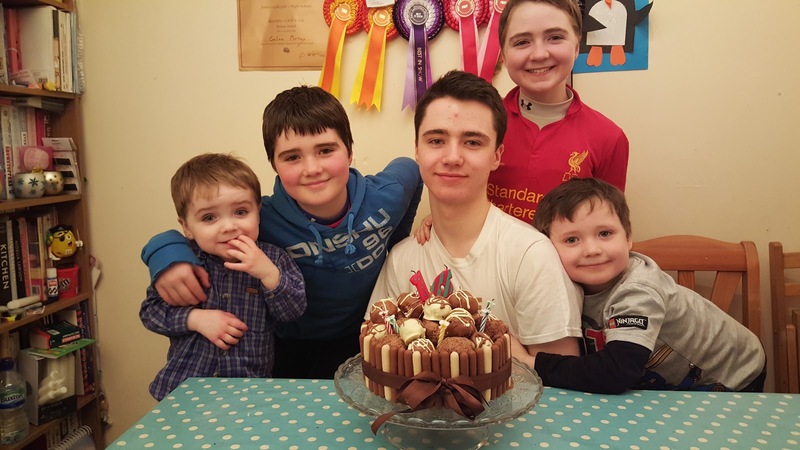 And finally his 16th birthday, which we celebrated at the weekend rather than today as James has Army Cadets on Monday nights and so wouldn't have time to enjoy his birthday dinner and cake. 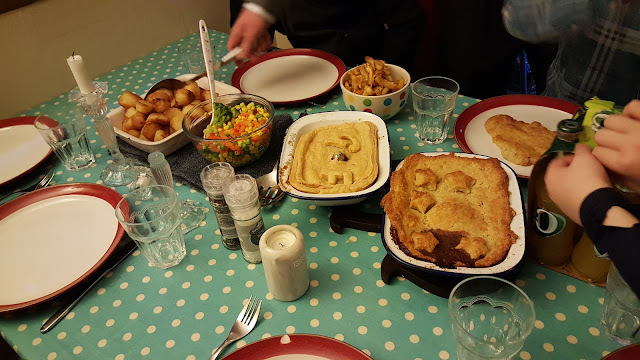 Birthday boys always choose the birthday dinner and this year's choice was no different than what he has asked for for the last five or six years - home made steak pie, which we had with roast potatoes, roast parsnips and veggies. 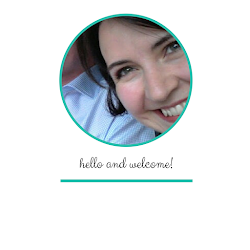 I think I fulfilled the brief! 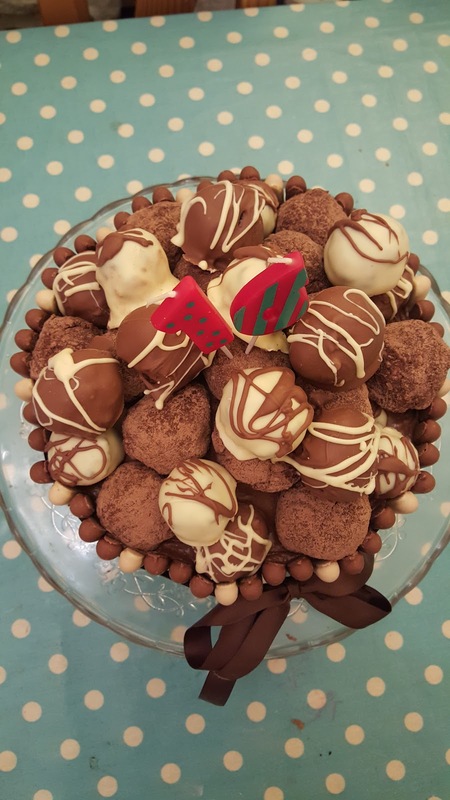 Chocolate cake surrounded with chocolate fingers and topped with milk & white coated chocolate Oreo truffles as well as coconut truffles. Even I struggle to finish a slice of it but the birthday boy was delighted with it. 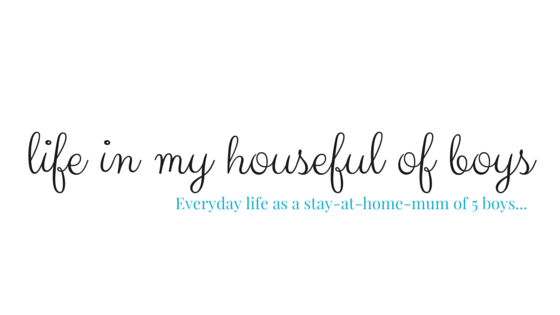 After all, if you can't overindulge on your 16th birthday then when can you? 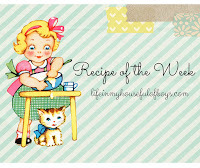 What a lovely post & so nice look back on all those memories! Great cakes as well! Thank you Charlotte. They boys all loved looking through all the old photos too!